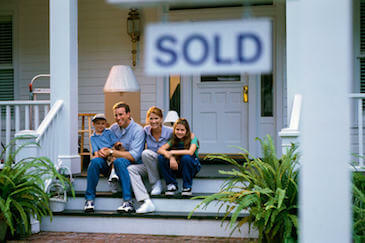 A mortgage broker is a must for anyone in the market for a new home loan. We do all the investigations for you to find you the best deal. At Mel Finance, our mission is to serve Melbourne residents with a seamless process leaving you without stress and hassle. Seeking your first home as a new buyer can be daunting and we help our customer navigate the minefield of home loans here in Melbourne. Secure the property of your dreams with a loan that’s the perfect fit for you and your situation. We seperate ourselves from our competitors by being the authority in the industry. We are an MFAA (Mortgage & Finance Association of Australia) approved mortgage broker based in Melbourne making us fully compliant with industry standards. We always put our clients’ needs first and our 5-star Google reviews speak for themselves. Look no further than MelFinance for a suitable home loan option. If you are looking for a Melbourne based mortgage broker to take the hassle out of finding you the perfect home loan, then contacting us here at Mel Finance is the the right move. 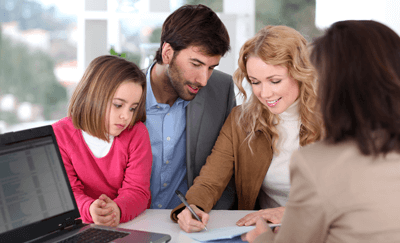 We will do our homework and break down the options for the most suitable mortgage for you. With our professional expertise, we can help you decide which is the best home loan for your personal circumstances making sure you end up with the best deal on the market without any stress. No matter if you are looking to refinance your home or you’re simply looking for a broker for your first home, Mel Finance is here to support you. We take pride in being there for our clients through every step of the way in the home loan application procedure. We are not just a mortgage broker looking to get you on any home loan. We truly care about your needs and dedicate ourselves in getting you the best option possible. That is why we regard ourselves as being one of the best boutique mortgage brokers servicing the Melbourne area. We don’t limit ourselves to the big four banks! Our extensive panel of lenders will give you an open view of what offers are out there so you can make an informed decision. Our boutique mortgage brokers’ scour the Melbourne market on a daily basis to find a deal that will save you on rates, repayments and all the fine print – guaranteed. This ensures that you are not missing out on any great deals that are out there in the market that the vast majority of people are unaware of. This gives you plenty of time to relax in knowing that you are in the hands of a genuine team who care about your needs. Let us do the legwork and provide you with the most competitive rates whilst giving you the expert guidance that are hassle free. We will be giving you the power to choose from a wide range of options, which will allow you to make the most informed decision for this important event that will affect you for years to come. Whether you are a seasoned investor or a first home buyer, we can help you find out what’s out there so you can make the right decision for yourself. At Mel Finance, our exceptional team is committed to improving your financial and living situation. Thanks to our combined knowledge, experience, and attention to the individual needs and requirements of our customers, our team stand out as some of the best mortgage brokers currently operating in Melbourne, for Melbournians. What’s more, our home loan broker services are unparalleled in Melbourne – we come to you when it suits, so if office hours don’t suit you, then it’s no problem! With our 13-page questionnaire and cutting-edge loan-filtering software, our mortgage advisor will promptly find the best mortgage loan for your situation. This allows us to give you the best possible rates for what you need, saving you time, resources and stress. We are responsible for looking after your interests first and foremost. Therefore, you can rest assure that we will always negotiate on your behalf and ensure that you are getting the best deal as possible for what you need. We work together by essentially gathering information on what type of loan or support you need and what works for you and then we work diligently to help you find the deal that you want and need. While we are looking for that right deal we will be keeping you informed at every step of the way, giving you a transparent service. Start taking advantage of our free consultation services today so you’re across the board and ready to launch into your next step of owning a property you love with the negotiation prowess of Mel Finance Services in your back pocket. This is why as a bonus to our valued customers, we will be providing you with a comprehensive property profile report prepared by Corelogic RP data, which is the largest property data company in Australia. Normally, this would be of cost. However, for our serious clients, we are willing to offer this service free of charge. To find out how you can request a FREE property profile report or to speak to a member of our mortgage broker team, Melbourne residents throughout the city can contact us. We will always endeavour to improve the standard of your life through our unmatched and personalised mortgage solutions and tactics. Don’t settle for second best or miss out on a great deal. Make the right decision now and call us today! Lumbini and the team at Mel Finance were beyond wonderful with helping me with my first home loan experience. Lumbini's knowledge and experience were second to none. He was present and available every step of the way from day one till the day I moved in to my first home. He was always there for every question I had no matter how small and his dedication was incredible. Very highly recommend this Mortgage Broker in Melbourne. From our first contact, Lumbini was a consummate professional. He arranged for us to meet so he could assess our needs for our first home loan and from there onwards, he provided my wife and I with excellent advice, support and of course the right mortgage. He was transparent, honest and available for any questions that we had. He made the whole process easier for us. It was a pleasure to work with him and we wouldn't hesitate to seek his services again for our next purchase. We had a pleasant experience dealing with Mel Finance Services who were friendly, helpful, professional, enthusiastic, and understanding of our needs. It was clear that he was passionate about providing us with the service that we needed to make the process as stress-free as possible. His diligence and understanding of the industry makes him an outstanding broker and we would go through him again for any future financing opportunities.